We’ve spent the last few blog entries detailing some of the cool chapters in the SuperTeam Handbook that let you build your team from the ground up for thrilling heroics. One of the most beautiful things about the Mutants & Masterminds system is its flexibility. 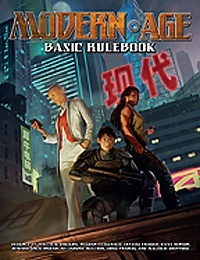 While we generally sell it as cape-and-cowl set flying around throwing busses and fireballs at each other, the bare bones of the system can handle almost any action- and intrigue-focused flavor of modern, scifi, or historical games. 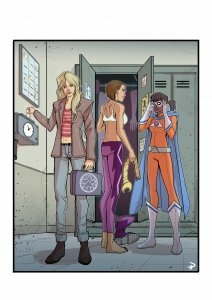 One of the big goals of the SuperTeam Handbook was to provide a stealth campaign guide for more than just four-color heroics (there are plenty of those, too). Project: Freedom is classic superheroics mixed with behind-the-scenes political intrigue. The Upstarts are all about sabotage and civil disobedience. The Shadow Knights are chopsocky and ninja weirdness. And today we’re going to take a closer look at Red Group, an experimental AEGIS team who use criminal’s tactics against them with con games, theft, and sabotage to stop crooks and villains before they can threaten the world! The public image of AEGIS, the American Elite Government Intervention Service, is dominated by steely-eyed operators or agents in heavy MAX power armor, who engage criminal organizations, terrorists, and supervillains. What the people don’t see are the five ordinary looking men and women quietly watching from nearby coffee shops or store fronts. They couldn’t imagine that these run-of-the-mill individuals are part of a new AEGIS initiative: Red Group, a pilot program sponsored by none other than Stewart “Rockstar” Bonham, Chief Administrator of Freedom City’s AEGIS operations. The idea for Red Group was born from an unexpected skirmish between members of the Santa Muerte cult and SHADOW cells in Freedom City. The Santa Muerte cult under undead Tepalcatli had restricted their operations to Central America and the southwestern United States, but when SHADOW tried an aggressive push into the Mexican state of Chiapas, Tepalcatli retaliated with strikes against SHADOW operations in Freedom City, almost burning down Southside in the process. AEGIS’s post-incident audit absolved the crimefighting agency of any failure to intercede and prevent this tragedy, but there was one voice of dissent from inside the Command Division: Analyst Jessie Baker. She claimed the Command Division had possessed actionable intelligence well before the Santa Muerte/SHADOW war, and that they failed to capitalize on it early enough. And when Command did pass the information along, it was through the Directorate arm first—standard protocol—preventing the Agent division from moving on the intelligence earlier. The auditors were ready to ignore Analyst Baker’s accusations; she had a reputation for rubbing people the wrong way, and her actionable intelligence had been little more than conjecture at the time. At best, her correct prediction was a coincidence, and they thought even that was generous. But Chief Administrator Bonham was intrigued. Baker may have the tact of sandpaper, but her predictions over the years had time and again proven correct off the faintest evidence, however untraditional her methods. Bonham concluded there was a critical flaw in the way AEGIS communicated between the analytical thinkers who gathered intelligence and the structural thinkers who decided how to act on it. The analysts were having a hard time convincing the military and bureaucratic arms of potential threats because of how both sides parsed data and how analysts were able to think outside the box for deductive reasoning. The criminal organizations of the world were uniting in the interests of business, and they were sharing disciplines while governments were still restricted by their own borders. AEGIS had lost the ability to be agile under a heavier bureaucracy. Bonham also recognized that Baker was in danger of being fired by her superiors or walking away out of frustration, but she wasn’t just an asset. He saw in her the promise of a new AEGIS, a more fluid and dynamic organization that could predict and act rather than waiting for an event to warrant a response. So he offered her an opportunity instead. Red Group is an autonomous unit under the direct supervision of Chief Administrator Bonham. It falls somewhere between the Command and Agent divisions, essentially allowing analysts to train and operate like agents in order to immediately act on the intelligence they gather in the field. Off the record, Red Group consists of five members—all specialized, all talented, and all an awkward fit for AEGIS itself—whose processes and instincts haven’t yet been dulled by years of rote paperwork and procedure. Find holes and weak points in the infrastructure and security of American institutions and facilities. Identify and map out support networks for villains, from smugglers to financial backers to suppliers to underground clinics. Construct complex profiles on villains, uncover their identities, and do exhaustive research on their formative elements like friends and family. Envision, create, and carry out scenarios to determine proper courses of action. 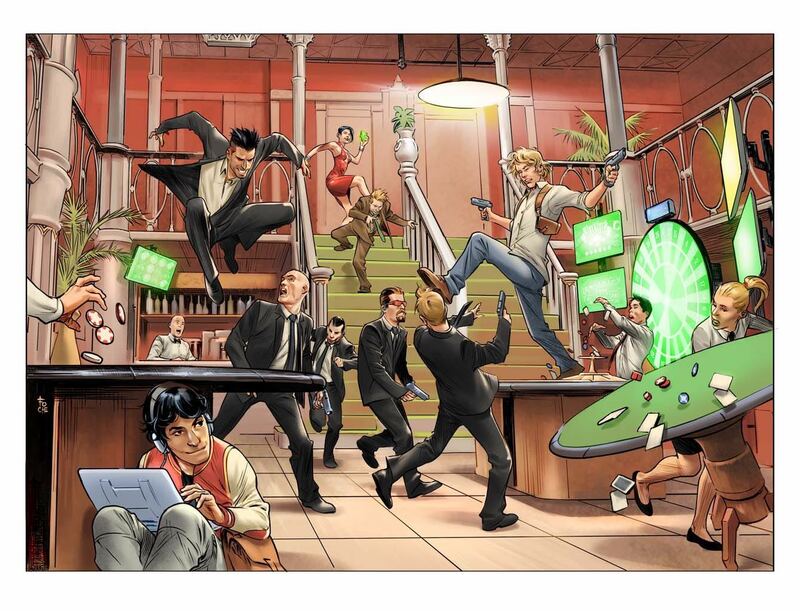 Sabotage supervillains and criminal organizations before they can carry out attacks. There’s one other mandate that Bonham insisted on. While Red Group has access to AEGIS’s supplies, housing, equipment, and deep pockets when a crisis calls for it, Bonham wanted them operating autonomously with fewer strings connecting them to their mother organization. This meant building up their assets and connections to foster street cred, to better understand how villains might work, and to avoid relying on AEGIS given the organization’s distrust of Bonham’s pet project. Red Group rarely operates out of the institution’s primary office, known as the Iceberg, in Freedom City. Instead they operate from a variety of temporary locations scouted by Baker and rely on black-market and stolen resources. Their techniques are unconventional—illegal in some circumstances—and justified post-mortem by how effective they are at preventing death and destruction. How exactly this approach will be seen by the general public if and when Red Group ever comes to light remains unknown, but for now their mission is to save lives, and their playground is every shadow in the United States. 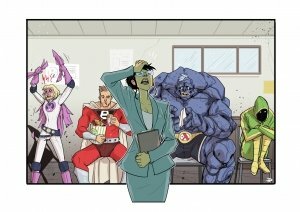 The Mutants & Masterminds SuperTeam Handbook, the newest addition to the 3rd edition lineup, is just around the corner. The text is finished. The layout is finished. At this point we’re just waiting on the final art and proofreading! In just a few weeks, it’ll be in your hands, ready to help your table get more out of their team! The SuperTeam Handbook also marks the last leg of John Leitheusser’s prodigious run on Mutants & Masterminds, which started way back in 2nd edition and included the DC Adventures Roleplaying Game back in 2010. This book was his vision and his last product pitch for the line, and I’m happy he chose me to help usher it through to completion. “But Crystal,” you say,”My group is already a superteam! We’re a team, and I think all my friends are just super, ergo…”Okay, yes, you’re friends are totally super, but here me out: Are you a superteam or a SuperTeam? Because there’s a difference. One looks way better on T-shirts. And you know what T-shirts are? They’re a quick and easy team uniform! Now you match. You’re even more of a team. Boom! Too much coffee. Let’s try this again. Most RPG books are aimed and providing plenty of cool stuff your can do as a solo character, but most RPG groups play as teams. You’re not the only cool kid on the field. 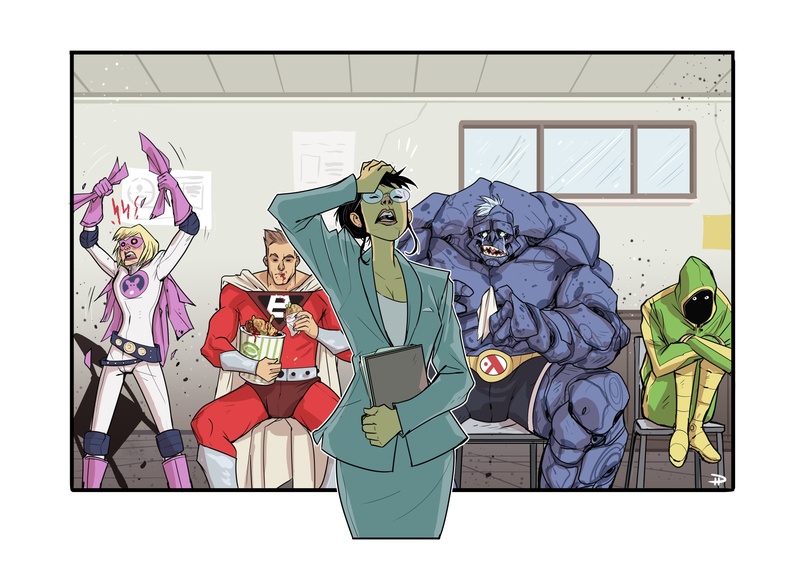 The SuperTeam Handbook looks at the awesome stuff you can do together as a group, from practical concerns like sharing points to build better HQ to drama-rich character interactions and personality conflicts that’ll just churn out those delicious Hero Points we all love. It’s a book that doesn’t just assume you’ll all work together as a team, but asks why you all work together, and how well you function as a group, and what do you do to stand out as a group. The player section introduces tactical and personality roles to help you flesh out your character’s own role as well as how well they mesh with other characters on the team and how they approach combat. It’s important to remember that your psychic doesn’t need to hit as hard as the brick or the living gout of elemental plasma; you pull your weight on the team your own way, and that can also be healing, buffing your allies, protecting people, or heckling the villain; they don’t call him “Robin, the Boy Distraction” for nothing! “Ugh, but Crystal,” you say, forgetting I cannot hear you and this was all written days ago, “This all sounds like that icky story games, improv stuff. Where’s the beef?” Dude, chill. There is plenty of crunch for you lovely crunch-monkeys, too. The SuperTeam handbook introduces team templates so everyone can pool their resources to buy cool jets, submarines, and asteroid bases. And to make that process easier we also introduce plenty of cool jets, submarines, and asteroid bases. Behold! There are also several new powers built with group functionality in mind, new team maneuvers to test out, and new advantages to help define what you can chip in to your team’s joint efforts. The meat of the SuperTeam handbook is over 100 pages of new, ready-to-play superheroes, spread across eight different SuperTeams. Each team contained 4-6 members as well as a four-page introduction with information on their background, their shared resources, and plenty of story hooks for Gamemasters to pick up and run with, as well as a team nemesis to face off against! The teams in the SuperTeam Handbook are “soft canon,” which means they’re there as a guideline for players and Gamemasters. Every team is assumed to exist somewhere within Earth Prime, but the rosters and statblocks presented are aimed at players rather than at being perfect expressions of their role and history. You shouldn’t feel like the version of UNQIUE presented in this book is the One True UNIQUE that must always exist in Earth Prime. If you like the team concept and guidelines but not the characters (as player character heroes or NPCs), feel free to tweak them or toss them out and substitute your own. The SuperTeam Handbook is a toolkit on every level, not a definitive reference book. Welcome back to our look at Green Ronin’s 2019 plans. 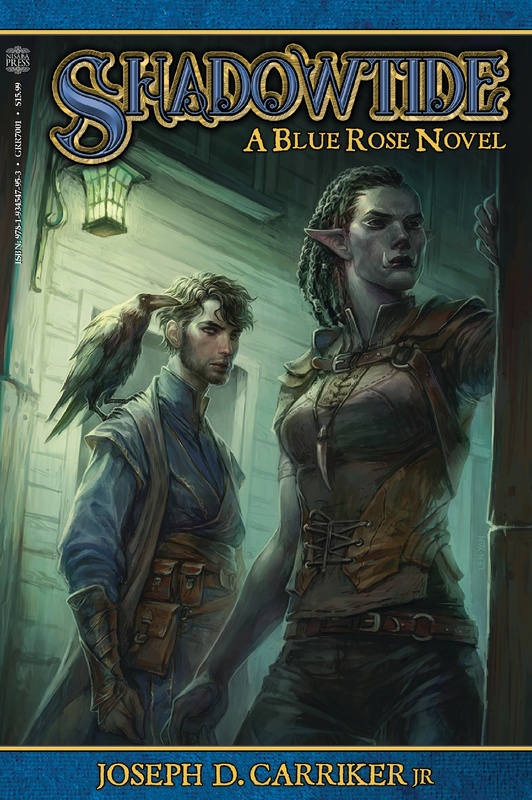 Yesterday I talked about The Expanse, Nisaba Press, Freeport, and Blue Rose. 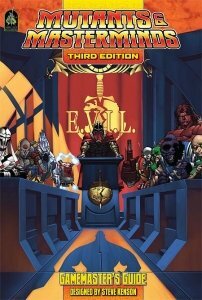 Today I’ll be talking about Mutants & Masterminds, and 5E. 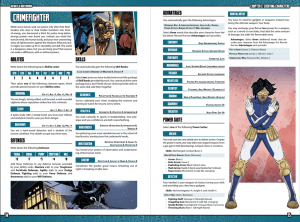 Mutants & Masterminds is our longest-running RPG, now in its 3rd edition. Last year we released the Basic Hero’s Handbook, a new entry point for the game that makes getting started with M&M even easier. We’re going to follow that up this year with some PDF adventure support and a Revised Edition of the Gamemasters Guide. The GMG went out of print last year and rather than do a straight reprint, we thought we’d take the opportunity to add some new material (new adventures, villain archetypes, and more) and make it integrate more smoothly with the Basic Hero’s Handbook. We’re also making it hardback! Before the revised GMG, though, we’ve got the Superteam Handbook. This handy sourcebook contains eight pre-built superteams that range from PL 5-12. These can be used to kickstart a campaign, or as allies, rivals, or enemies of the PCs. Later in the year we’ll have the Time Travelers Codex. 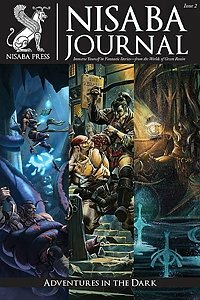 This book provides a framework and ideas for including time travel in your supers campaign, as well as detailed info on select historical epochs and the sorts of adventures you might have there. Mutants & Masterminds is also moving into a new area this year: card games! 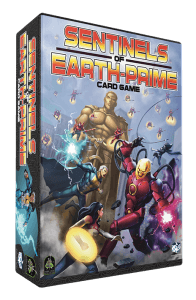 Sentinels of Earth-Prime is a joint project between Green Ronin and Greater Than Games that originally funded on Kickstarter. 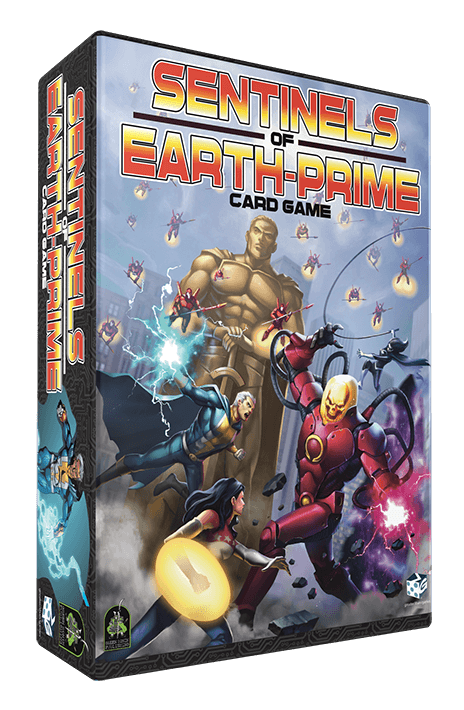 Sentinels of Earth-Prime is game that combines M&M’s core setting and the rules of Sentinels of the Multiverse. This is a core game so no previous experience is required. If you have Sentinels of the Multiverse games though, you’ll find that all the decks in our game work hand in glove with your current collection. Why, it’s almost like SotM designer Christopher Badell did all the deck design for our game (because he did!). The game is designed and playtested, and right now we’re working on getting all the art done. As this is a card game, there is quite a bit of art. You should see Sentinels of Earth-Prime this summer. Tales of the Lost Citadel novel coming soon! If you enjoyed last year’s hugely successful Critical Role: Tal’Dorei Campaign Setting, we’ve got more Fifth Edition fun for you this year. 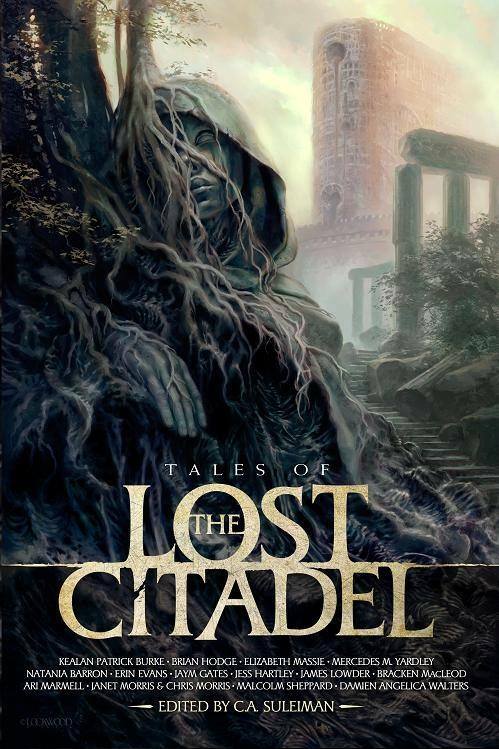 First, we’ve got Lost Citadel Roleplaying, a campaign setting we also funded on Kickstarter. It’s a world where the dead roam at will and all the survivors have taken refuge in the city of Redoubt. Only its walls and the strength of its inhabitants stand between the dead and annihilation. 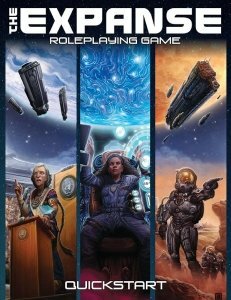 Lost Citadel Roleplaying is in layout now and should be available for pre-order soon. Later this spring we’re running a crowdfunding campaign on Game On Tabletop to bring back a Green Ronin classic for Fifth Edition: The Book of Fiends! 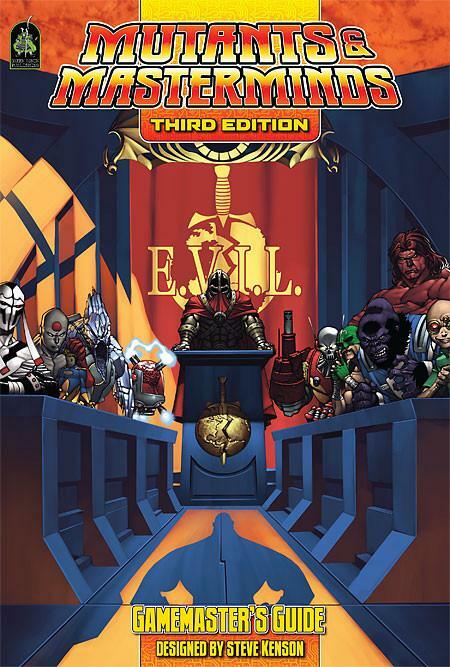 Older fans will remember this book from the Third Edition era. It was one of our best selling and most critically acclaimed books in the d20 days, so it only made sense to bring it back. Demons, daemons, and devils will be yours in abundance! 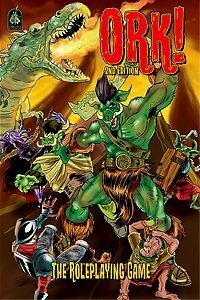 Rob Schwalb, one of the book’s original designers and also a member of the D&D Fifth Edition design team, updated all the existing fiends and added new ones too. You’d expect no less from the man behind Shadow of the Demon Lord! That wraps up part 2 of our look at 2019. Come back for the final installment tomorrow to learn about Modern AGE, Fantasy AGE, and Dragon Age. 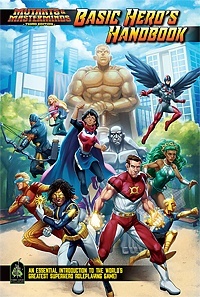 With the arrival of the Mutants & Masterminds Basic Hero’s Handbook, the world of Earth Prime has a few new heroes illustrating the eight heroic archetypes presented in the books. Four of these characters also appear in the upcoming Mutants & Masterminds Quickstart as pregenerated player character sheets, and so they needed names, personalities, and origins of their own. 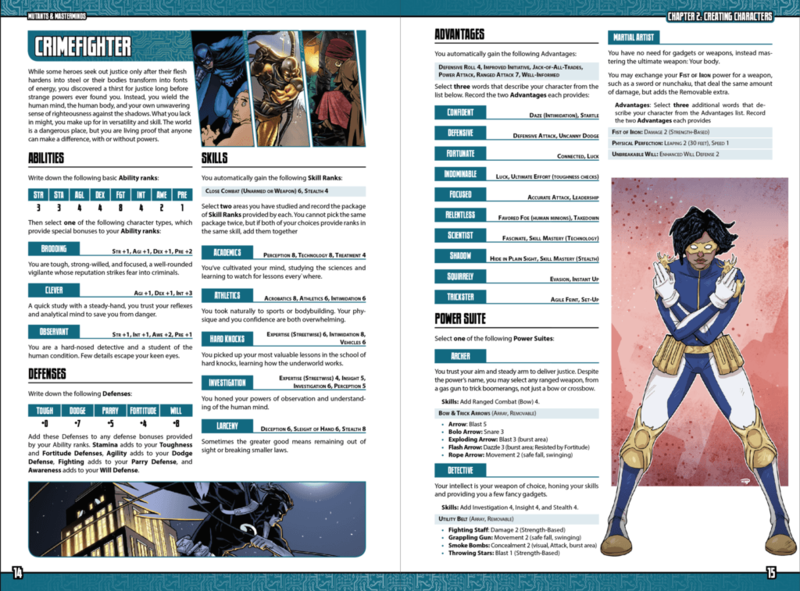 We turned to RPG industry legend and giant comics nerd, Amber Scott to help flesh out the new Crimefighter, Energy Controller, Gadgeteer, and Paragon of the Mutants & Masterminds Basic Heroes Handbook! Ray Montoya was the kind of guy who could make Mount Rushmore crack a smile. Making others laugh, especially with a little self-deprecating humor or a harmless prank, felt like the one thing in the world he couldn’t screw up, and he leaned into it hard. Ray wasn’t trying to develop superpowers on the day of the eclipse. He was trying to show off to his friends. But with all the warnings on TV about not looking directly at the eclipse—as if anyone could be that stupid—he couldn’t resist the opportunity to play a little prank. He met up with his friends on a rooftop patio for the viewing and prerequisite party. When the time came, and everyone pulled out their eclipse glasses, Ray simply whipped out a pair of designer shades. “These should be enough for me. I’m already a star.” He pushed the shades up his nose and turned his face innocently to the sky. He grinned as his friends started freaking out, shouting at him not to look. None of them could see his eyes were closed behind the sunglasses. Ray was dying of laughter on the inside, right up until a server with a tray full of glasses tripped and crashed into him. Ray’s eyes popped open. Without meaning to, he stared directly into the glorious eclipse, and it burned him. As if entranced, he reached up and removed his sunglasses, staring fixedly at the stunning astronomical event. A few seconds later, one of his friends spun him around, yelling for Ray to not be an idiot. To everyone’s shock, Ray’s irises had turned pitch black, surrounded by metallic gold sclera. It was if the eclipse was burned into Ray’s own eyes. The sun still glowed bright in his vision, and then in his chest. Since that day, the power of the sun shined within Ray’s body. He learned to control the bright yellow-white light that shot from his fingertips, and he also developed the ability to fly. Sometimes Ray still wonders how he gained superhuman powers from a solar eclipse, especially after news reports began mentioning other people who looked into the celestial event and only walked away with retinal damage. Some days he feels like the luckiest guy in the world, but other days beats himself up as a fraud, sure that his powers were intended for someone else who could’ve used them better. That lingering doubt drives him to better master his powers as his body continues to change. What didn’t change was Ray’s showoff nature and desire to impress people. He loves being the first on the scene and taking out bad guys in the flashiest way possible. When the news vans show up, Ray’s always willing to linger for an interview. Given his ego, Ray couldn’t abandon his real name entirely. 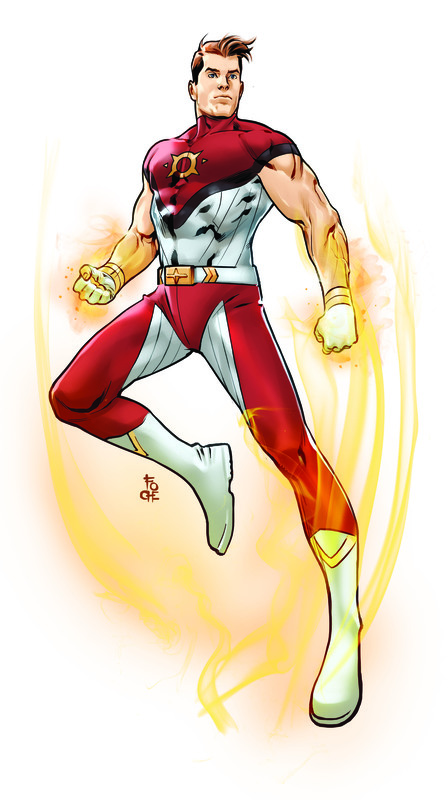 Instead he adapted it to create his superhero identity: Solar Ray. Morowa grew up in the nation of Dakana, a technologically advanced society hidden from the rest of the world. As a child, she always felt confident in her place in the world. With her clever mind and natural talent for athletics, she fit in perfectly as a member of the nation’s defense forces. As she advanced in school, she studied all the courses necessary for her to enter the all-female force comprising Dakana’s greatest defenders. But her plans for the future derailed as Morowa began having strange dreams. At first, the dreams were the same. She stood on the edge of a tall building, looking out over an unfamiliar city. It was night, and a moon shone brightly overhead. Below her, thousands of people went about their daily lives, unaware of her watchful presence. The city—like a heart—beat strong, but out beyond the heart poison crept through its veins. Young and headstrong, she initially dismissed the dreams as a strange quirk of her mind. But the visions continued, and gradually Morowa found herself able to interact with them. She walked around the roof, glancing down from different angles and seeing slices of city life. She witnessed car accidents, assaults, and robberies, but she also saw good-hearted people stepping in to help when they could. And every time a good soul stepped in to help, the poison receded just a little. Eventually, the young soldier began to notice a tiny spider crouched on the ledge. One night, as she descended again into the dream-city, the spider spoke to her. After that, the dreams stopped. Morowa resisted, at first. She already had such a clear vision for her future, and it didn’t include traveling to another continent and living among the strange customs of the western world, with its crime and intolerance. But she couldn’t shake the spider’s words out of her head, and after discussing the matter with the shamans and soldiers, she decided to follow the path laid out by her dreams. Morowa fights with her acrobatic skills and with three weapons brought from her homeland. The most obvious are a collapsing staff and spider-shaped throwing disks, but the least obvious is the most deadly: a lifetime raised in a world uncorrupted by petty greed and hate, and the knowledge that such a place can exist where people flourish. Those who have fought her would also add Morowa’s sharp wit to her list of weapons. She calls herself Anansi, after the spider of folk-tales brought to Dakana from distant Ghana. She still knows little of the spider from her visions, but Morowa knows who she is: a trickster, and a spider whose bite draws out venom from the veins of the world.